Everyone should ignore Obama's comments. He is the biggest liar ever. According to Mr. Lavrov, John Kerry advised him not to pay too much attention to the US President’s harsh rhetoric directed toward his state. As recently as September, during his speech to the 69th UN General Assembly in New York, Mr. Obama puzzled and shocked Mr. Lavrov by placing “Russian aggression in Europe” in second place among the world’s threats, behind only the Ebola outbreak in West Africa, resigning to third place the “brutality of terrorists in Syria and Iraq.” “Aggressive Russia” again was included in Mr. Obama’s world top-danger list during November’s G20 Summit in Australia. 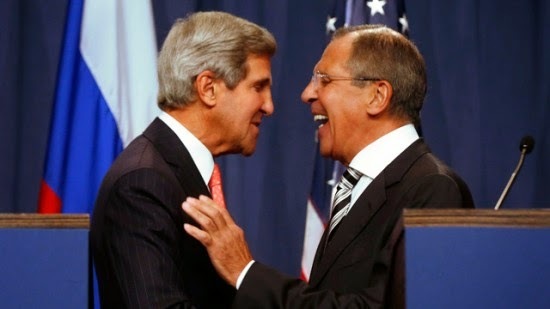 According to a translation commissioned by the Observer, Mr. Kerry advised Mr. Lavrov to “just ignore Obama’s statements.” Google translator phrases the nuance slightly differently: “Russia’s Foreign Minister Sergey Lavrov says US Secretary of State John Kerry called on him to ‘pay no mind’ to a statement by President Obama.” But the take-home message is clearly the same.